Two separate polls have put UKIP ahead in Thurrock and South Thanet. A Lord Ashcroft poll predicts a victory for Tim Aker who, if he wins, will have become a councillor, MEP and then an MP in just 12 months. 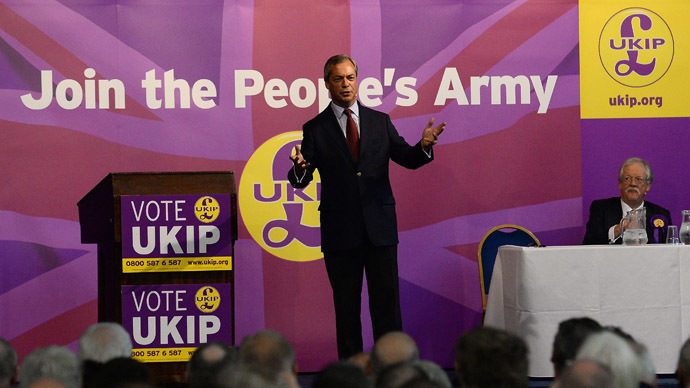 A Survation poll predicts a whopping 7% majority for Nigel Farage in South Thanet. The poll also found that a third of residents in the constituency have talked to a UKIP activist on the doorstep and 1 in 5 have spoken to Nigel Farage. Why does @LordAshcroft assume that "don't knows" who voted for me in 2010 as Conservative and in 2014 as UKIP will now vote for my opponent?